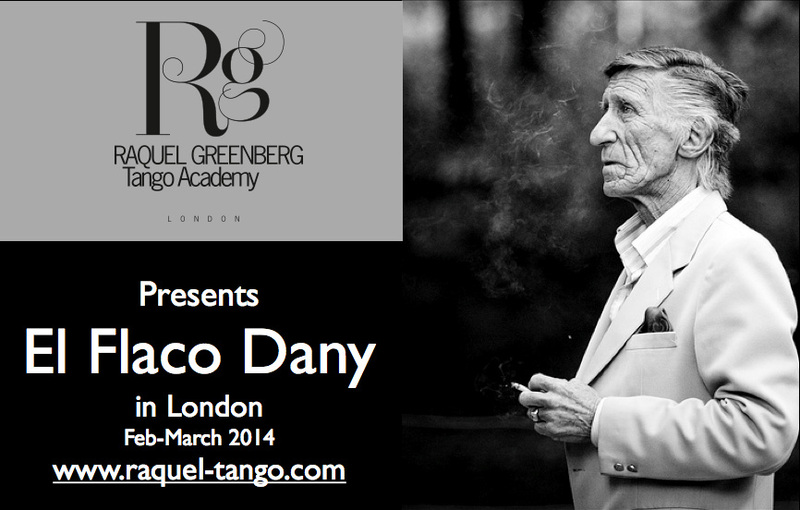 It is with great pleasure and honor to host Legendary Flaco Dany at our Academy during February and March 2014. I will be teaming up with Dany for all lessons and we guarantee a special inspiring experience. Daniel Garcia, known as El Flaco Dany, is an icon for milonga con traspie all over the world. He has been dancing tango for more than 60 years, and has extensive teaching experience of tango salon & milonga in various countries in the last 20 years, many of them in the company of his best friend Carlos Gavito. He is recognized by most tango dancers and aficionados as the best dancer of milonga con “traspie”. Among his dance partners: Silvina Vals, Natacha Poberaj, Lorena Ermocida etc. Apart from his dance, he conveys the tango culture, essence and evolution. For the last 5 years, he’s been part of the jury in the Tango World Championship. Turns in chains, sacadas and double time combinations special for Vals. In this Series we will cover: Changes of dynamics, Musicality, rhythm, cadence in milonga, How to convey and receive the fast movement in milonga. £15 for RG Tango Academy regular students (attending on regular basis tuesdays and wednesdays classes). £ 25 per person per class or £80 for the 4 classes.